Happy Monday! 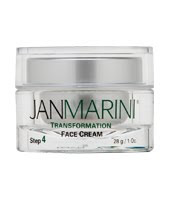 Thanks to everyone who participated in my Jan Marini Transformation Cream giveaway. You have until Wednesday, Midnight EST to email me at makeupbyren@yahoo.com to claim your prize or it will go to someone else. Thanks to everyone who participated. If you didn't win, I have another giveaway coming up Friday! Oh, that's awesome that you reviewed them! I have the 21 piece natural set which I purchased at a fashion event in SF. Love them - totally agree, very similar to Sigma.